There may be a certain debate about the meaning of the word vegan. I would prefer to define veganism as a dietary thing although most of those featured on this page would be inclined to disagree with me, stating that the commitment goes further than what we put in our refrigerator. However far we could argue the toss on that one, few of those who've made the switch to a plant-based diet have regretted it, even those inclined to heave chunks of metal around in pursuit of a rather more attractive physique. 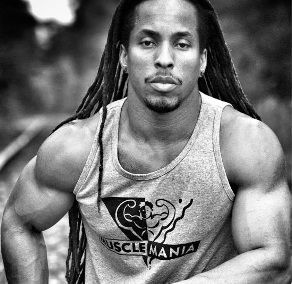 Yes, you can grow muscle on a vegan diet! Welcome to this worldwide community of jolly decent people whose commitment to eating nothing but plants is matched only by their commitment to spending hour after hour in the gym shaping up and silencing the doubters who simply assume that those who abstain from meat etc are destined to a life of relative feebleness. 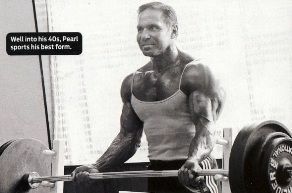 From as far back as the days of a vegetarian called Bill Pearl, contemporary and great rival of the iconic Schwarzenegger back in the 70s to the present day have vegans and veggies boasted physiques more than the envy of your average meat eater. Yet the ubiquitous cynics seem ever more determined to the point of view that it is not possible to make significant muscle gains on a plant-based diet. And while most of those vying for the title Mr. Olympia start their day with a meat and nuts breakfast, a host of vegan lifters are competing at very high levels fuelled both by passion and a diet free from anything whatsoever that comes from an animal. If I may make a semi-controversial statement… vegans may not be perfect but on the whole disinclined to ingesting or taking not only chickens ovulations etc, but anything produced in a laboratory. Therefore the ginormous body-builders who represent the case for the opposition and who are evidently bigger than some of the lads flexing on this page have perhaps become so with the parallel ‘advantage’ of certain other supplementation. Read into that what you may. We do what we can with what we are, and in many cases, what we are is very very impressive indeed. Patrik Baboumian is an ethnic Armenian living in Germany. He has been vegan for a few years and vegetarian for many. Those of you who may argue that his bulk and strength was mostly achieved while eating meat may have a point, but it is notable indeed that by his own admission, his strength, recovery times and energy levels have increased exponentially while on the plant-based diet. Patrik is Germany’s strongest man and the 14th strongest man in the world. And a vegan! Although not boasting quite the same power in the lifts. Derek Tresize is a great inspiration to many either in their aspirations to look (half) as good, or in their desire to show the cynics that there is no justifiable case for the assertion that meat is an essential pre-requisite to success in bodybuilding. He is American and to a degree the pride of the vegan bodybuilding community partly because of his success in competition, but also because this is the way many of us want to look, myself included. And he reminds us, when the pain of the lift gets too much, that it can be done! and the many thousands of vegans working out in gyms worldwide will continue to see results and all this as herbivores, whatever their reason for that may be. And probably the most prominent lifter is Torre Washington, a lad who has never ever eaten meat in his life and yet boasts a physique which defies anybody who would assume him to be a weakling. The photos speak for themselves. My four or five weekly trips to the gym have not as yet left me worthy of inclusion on my own page, but with a new regime and enthusiasm as high as ever, I will remain motivated and inspired by those who I have featured.